was found with another shop at Etsy too. Milk Glass Collectibles of White Blue Pink Green are amazing vintage pieces that have become more beautiful over time. 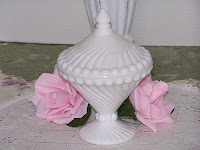 Milk Glass was first made, or originated in Venice in the 16th century. The Venetians made the glass opaque, or translucent in several different colors. Those consisted of white, blue, pink, green, and yellow. The white color can be achieved through the addition of a tin oxide, or a bone ash. 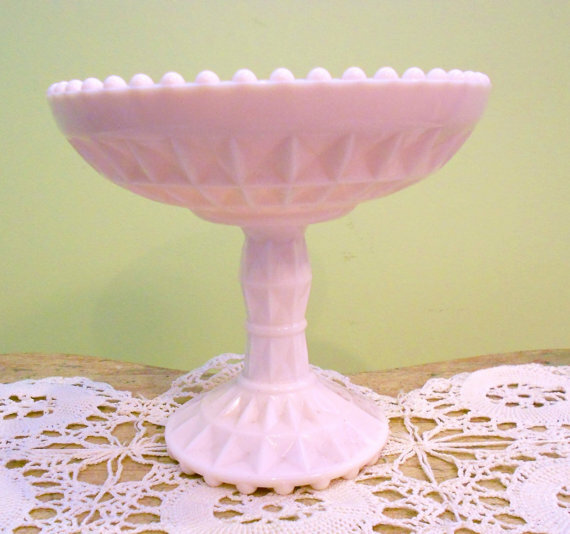 The name milk glass is a relatively recent name for this glass which is blown, or also seen pressed into a wide variety of shapes too. Milk Glass is still considered a luxury item, and is such a sweet collectible to have too. One good thing is that it can be very easy to fit into any type of life style that you may have. 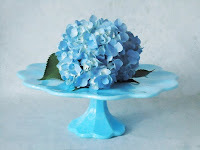 Sometimes you will see people using maybe some clear glass, and painting it into the colors of milk glass that they would like for their homes, and their decor. They do this to be creative, or maybe because they cannot find the shape that they are looking for too. 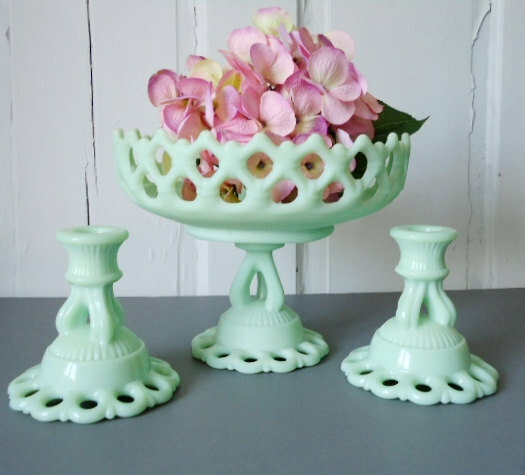 Milk Glass can be decorative, gorgeous with some flowers, and sometimes some of the pieces have a shape of their own that nothing else is needed to show with it. Above you will see pictures shown as examples of the different colors, and styled that can be seen on the internet with various shops and websites. Some of the pieces found can be vintage, unknown makers, and some come from such names as Fenton, Westmoreland, Fire King, Jeannette Glass Company, and many others too. 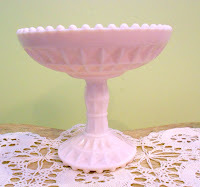 Doesn't milk glass just have some wonderful styles, shapes, and some yummy colors? How festive it can be for different celebrations, using in your home decor, sometimes some of the pieces are repurposed and upcycled as I have done with some, and versatile pieces to adorn many rooms in the home. Hey, I hope ya'll enjoyed this little bit of information shared about Milk Glass, and found it helpful for your needs. 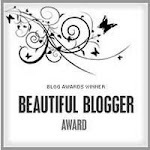 They make wonderful gifts too! 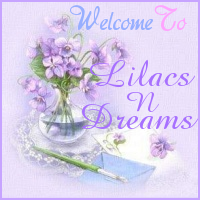 Thanks so much for sharing your time with LilacsNDreams, and hope to see you all again soon. 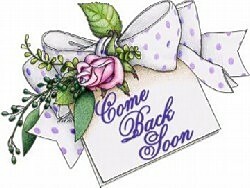 Take care everyone, and enjoy the day!